Cooperation is so important for our children to learn. Yes, good sportsmanship is too, but I would rather my child be kind and helpful. The Baby Beluga Game (by CooperativeGames) teaches children cooperation. The players of the game work together to get the baby whale and his Arctic friends to be free and wild. It’s great to cheer each other on instead of concentrating on winning. Baby Beluga actually started as a song back in 1980 by Raffi. Did you sing the song in your head when you saw the game name? I know I did. Along with Raffi, Suzanne Lyons (of CooperativeGames) helped create a sweet, non-competitive board game that will have your children sharing and cheering one another on. Competing has its place in our world, but it’s nice to play and bond with little ones while they learn to not get caught up in the whole “winning” mindset. They have plenty of time to learn about competing with one another. The Baby Beluga Game can be played with 1-8 players. This is nice because you can choose to have a family game night or let the child play alone. Sometimes it’s good for them to have their own quiet time. While playing this, imaginations can run wild! My granddaughter and I had a blast. We actually played it twice in a row it was so much fun. Who won? We both did, along with the little creatures we set wild and free. The game is for ages 3 to 10 and there is a small amount of STEM learning. The trouble cards even teach them about whales and ocean science in a fun way. 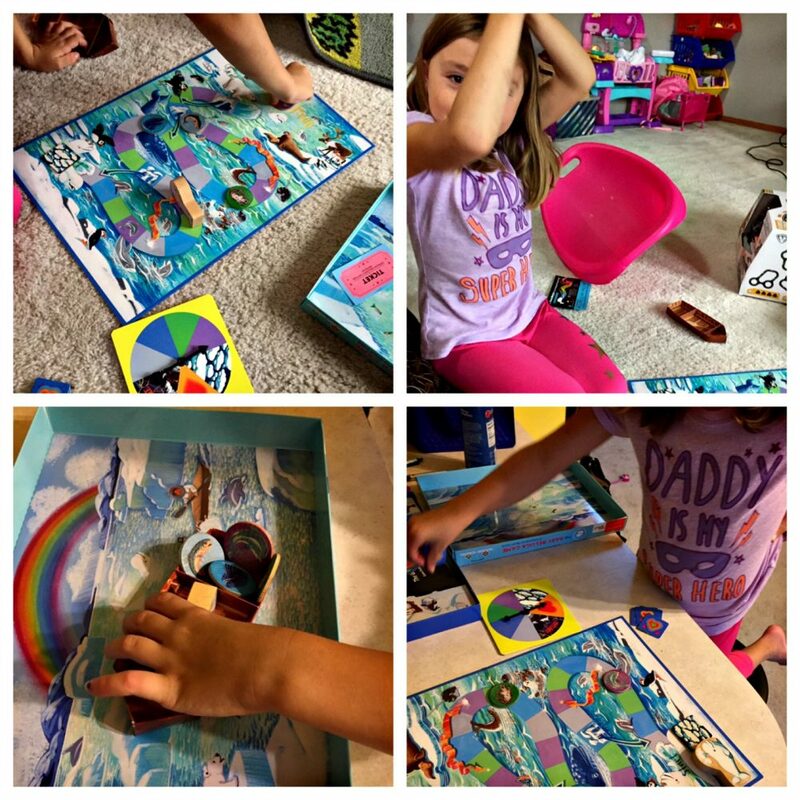 There is a cute, little canoe that holds all of the game pieces for next time, but my granddaughter used her imagination and played with it, along with the beautiful ocean backdrop scene on the box. Like I said earlier, there can be 1-8 players, so this would be a great game for a birthday party! You certainly won’t have to worry about kids fighting because there are no “losers”. The game is very easy for little ones to grasp. You are simply trying to get the whale and his friends to the top (the wild and free). The Baby Beluga Game makers are giving our wonderful readers a coupon code Blog10 for 10% off through November 30th, when you use this site CooperativeGames. What a great holiday gift this would make for any little child! You have a chance to win the Baby Beluga Game-USA ONLY. The Giveaway will run from October 19, 2018, until 11:59 pm EST on November 10, 2018. This blog is not responsible for prize fulfillment. Please enter by using the Giveaway Tools Form Below. Good Luck! Robin, my granddaughter absolutely loved this and she didn’t even know that she was learning! haha, thank you for the comment! Absolutely Lana! Good luck and thanks for the comment. I love that the kids can learn science in fun way while playing this game!